Uranium mining and milling has evolved significantly over the years. By comparing currently leading approaches with outdated practices, this report demonstrates how uranium mining can be conducted in a way that protects workers, the public and the environment. Innovative, modern mining practices combined with strictly enforced regulatory standards are geared towards avoiding past mistakes committed primarily during the early history of the industry when maximising uranium production was the principal operating consideration. Today’s leading practices in uranium mining aim at producing uranium in an efficient and safe manner that limits environmental impacts to acceptable standards. 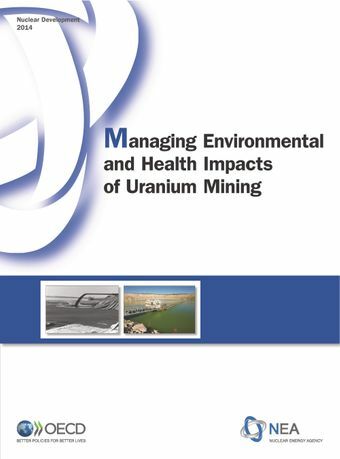 As indicated in this report, the collection of baseline environmental data, environmental monitoring and public consultation throughout the life cycle of the mine enables verification that the facility is operating as planned, provides early warning of any potentially adverse impacts on the environment and keeps stakeholders informed of developments. Leading practice also supports planning for mine closure before mine production is licensed to ensure that the mining lease area is returned to an environmentally acceptable condition. The report highlights the importance of mine workers being properly trained and well equipped, as well as that of ensuring that their work environment is well ventilated so as to curtail exposure to radiation and hazardous materials and thereby minimise health impacts.